JML has set the launch date for the newly structured company and release of VC 2.0 as March 23, 2011. More details will be released soon. JML developed and presented a course for the Advanced Trial Strategies CLE for the State Bar of Texas. The course “Amazing Technology You Can Use Today” was used for the 2013 DVD. Presenters were Adam Watkins, John Devine and Rob Hurlburt. Showing Physics Based 3D animations used in a variety of settings, the JML team closed with a look at an emerging technology called Augmented Reality. Justice Media Lab (“JML”) would like to congratulate former JML General Counsel, John P. Devine on his election as Texas Supreme Court Justice, Place 4. Justice Devine will be officially sworn in by Governor Rick Perry on January 14, 2013 and we are honored to attend the event. While the JML team will miss John’s input and guidance, we know the entire State of Texas will benefit from his honest, fair and unbiased opinions. Justice Media Lab will be exhibiting at the Advanced Personal Injury Law Course in Houston from September 14-16. 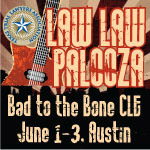 Justice Media Lab Inc. (JML) will be one of the Platinum Sponsors at this year’s “Law Law Palooza” Conference being held by the Texas Trial Lawyers Association in Austin, June 1-3. JML will be unveiling 3 additional Physics-Based Demonstrative 3D Software Engines — The Paxil Birth Defect Engine, AutoTruckAccident (ATA), and Enviro (Complex Environmental Scenarios). JML will be hosting the Conference’s opening night “After Party” to be held at Austin’s Cedar Street Club.